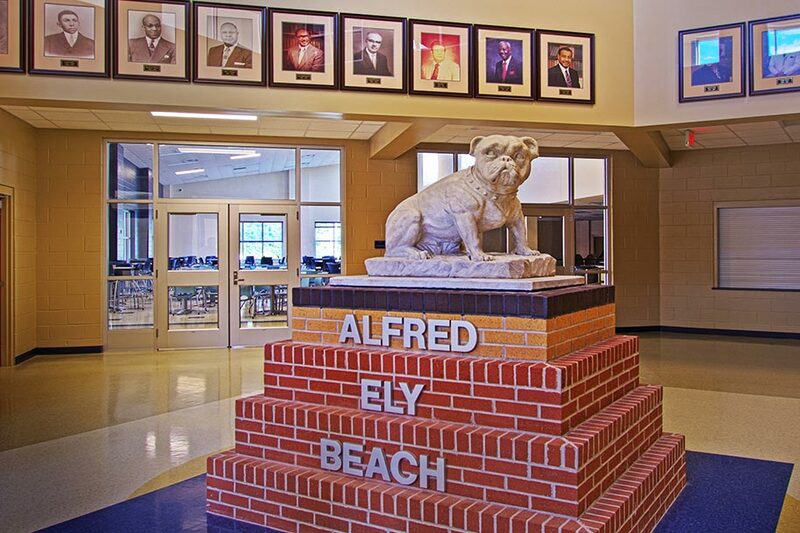 The Alfred E. Beach High School serves as an excellent example to illustrate Hussey Gay Bell’s experience with complex, phased high school education projects. 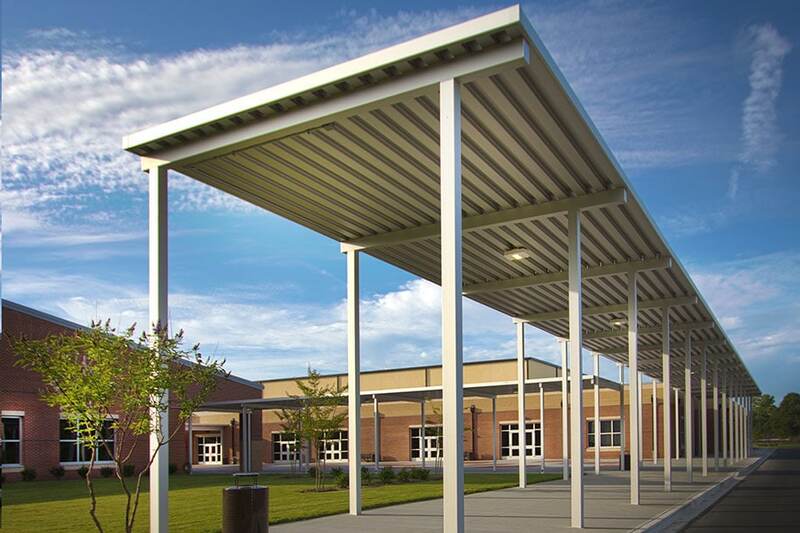 This school is a replacement facility for the existing 50-year-old Beach High. 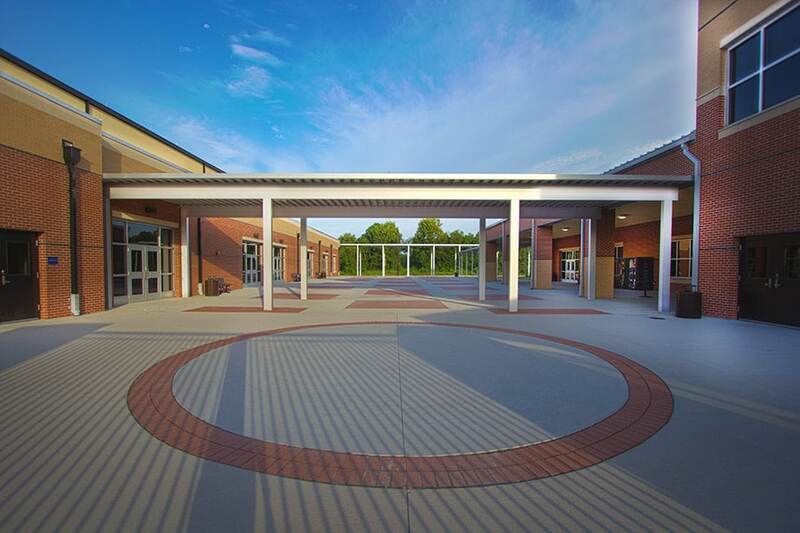 The replacement school was originally located on the same site as the existing school, which required the existing school to remain fully operational during construction. Further complicating the project, SCCPSS had limited funds; the rear portion of the site was located in an unbuildable area within the 100-year floodplain; and a 60-foot drainage easement bisected the site. Hussey Gay Bell’s solution to tackle this difficult site, budget and program involved a multi-phased approach of tearing down an unused adjacent elementary school and constructing a new 150,000 two-story academic building on one side of the easement and a 2,000-seat competition gym/PE building on the other side – creating a common area for outdoor dining and special events. 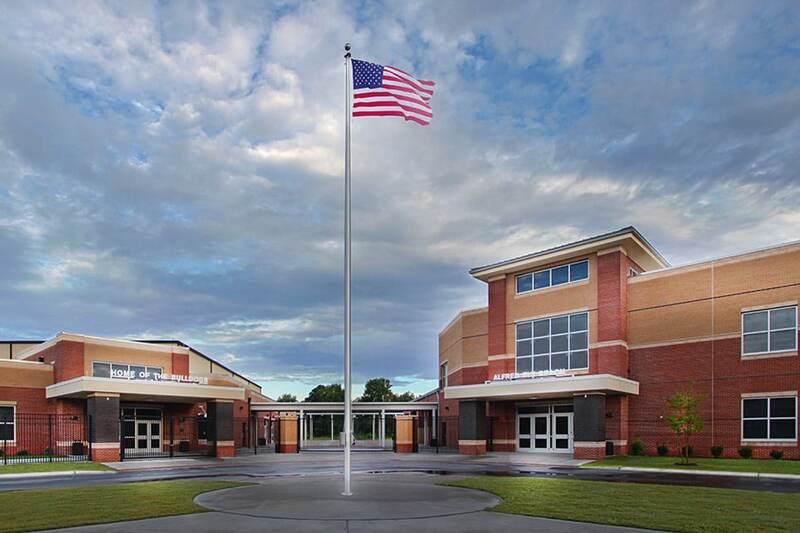 Hussey Gay Bell also incorporated the existing Health Sciences building into the new campus and renovated the existing gym into Music/Chorus and ROTC. In 2015, Hussey Gay Bell also provided the site design for the 10.9-acre site to situate a new baseball field, a new softball field and supporting facilities. 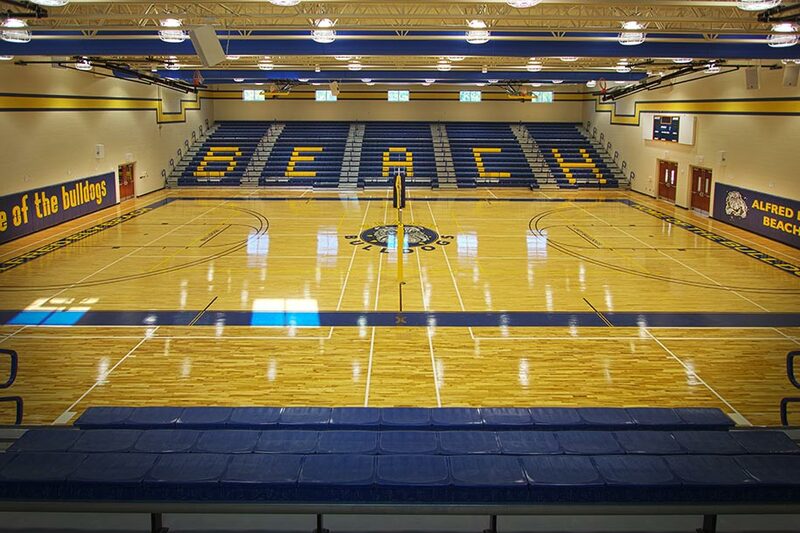 Nearly all high school projects have challenging, though the Beach High School project is certainly a project on the more complex end of the spectrum. 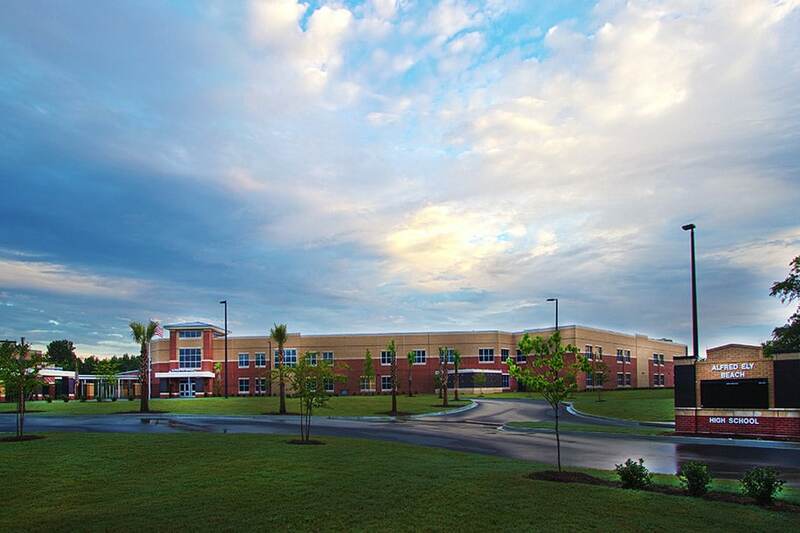 From limited funds and portions of the site in an unbuildable 100-year floodplain to a 60-foot drainage easement bisecting the site, Hussey Gay Bell’s innovative and multi-phased approach resulted in successful delivery of a new 150,000 two-story academic building and 2,000-seat competition gym/PE building.